Northern Tablelands MP Adam Marshall with Australian Fashion Wool Awards models and event organisers in Armidale today, Maddie McFadyen, left, Mary Carter, Liz Foster, Lucy Vigona, Miki Wilson and Chloe Thaskway. OVER the past 36 years the Australian Wool Fashion Awards has been one of the wool industry’s major promotional events in Australia and, after a three-year period being staged in Tamworth, the gala event is returning to its natural home of Armidale, the heart of New England’s superfine wool country. Northern Tablelands MP Adam Marshall made the announcement today at a fashion parade of past award winners at Armidale’s iconic Hannah’s Arcade. “It’s a great pleasure to be making this announcement as this event began as a very small local fashion parade in 1981,” Mr Marshall said. “Under the stewardship of Liz Foster and her committee, the awards soon grew in importance and are now acknowledged as one of Australia’s major wool fashion design events. “It was designed to promote wool in all its many aspects but with particular emphasis on its developing role in the fashion world. Mr Marshall said each year some 400 entrants from all over Australia, and in more recent years New Zealand, UK, USA and Dubai, have competed for prizes worth more than $58,000. 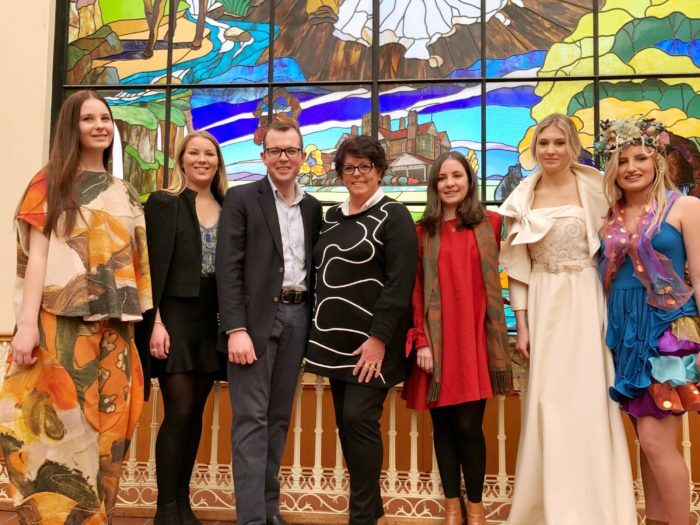 “The Awards are designed to showcase the use of merino wool by national and international fashion designers and educate and encourage designer students in the wonderful qualities of wool,” Mr Marshall said. “Secondary school and tertiary fashion students are invited to use the many versatile wool and wool blend fabrics to create their entries and the rewards include significant cash prizes and scholarships to study at recognised Fashion Institutes.